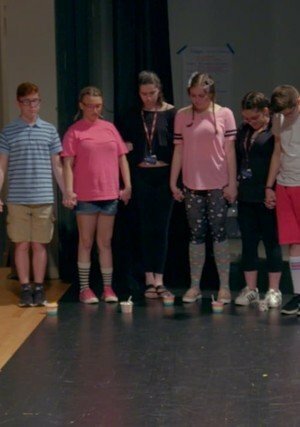 ZARYS FABUŁY When Marjory Stoneman Douglas High School drama teacher Melody Herzfeld heard the fire alarm on Feb. 14, 2018, she was with her students in rehearsals for their annual children’s musical. Moments later, a Code Red sounded. Herzfeld rushed her 65 students into a storage closet while a shooter killed 17 teachers and students nearby.